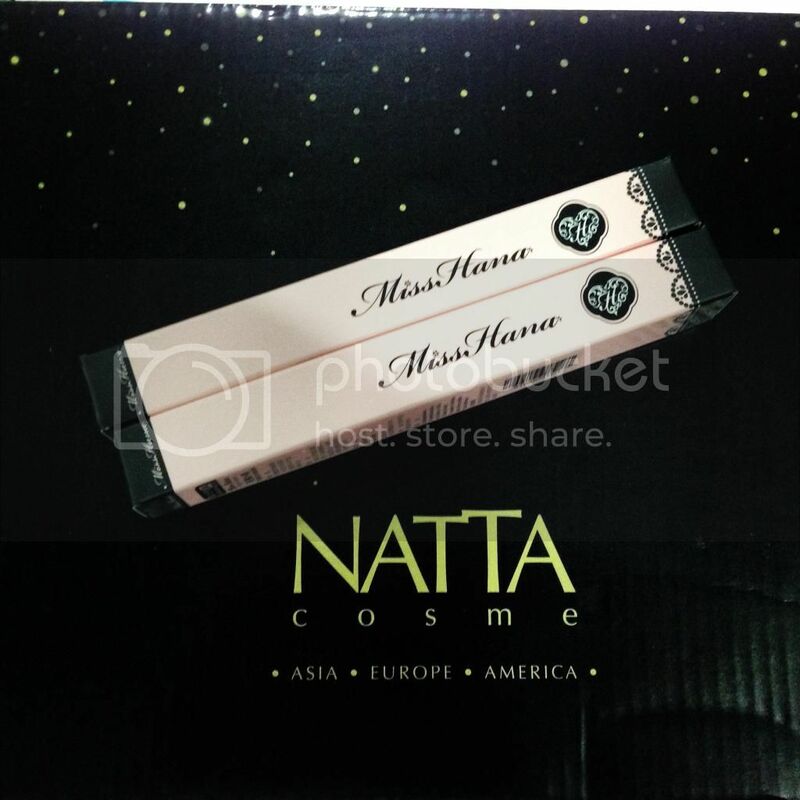 Miss Hana Gel Eyeliner (Stardust) with new box design from Natta Cosme. 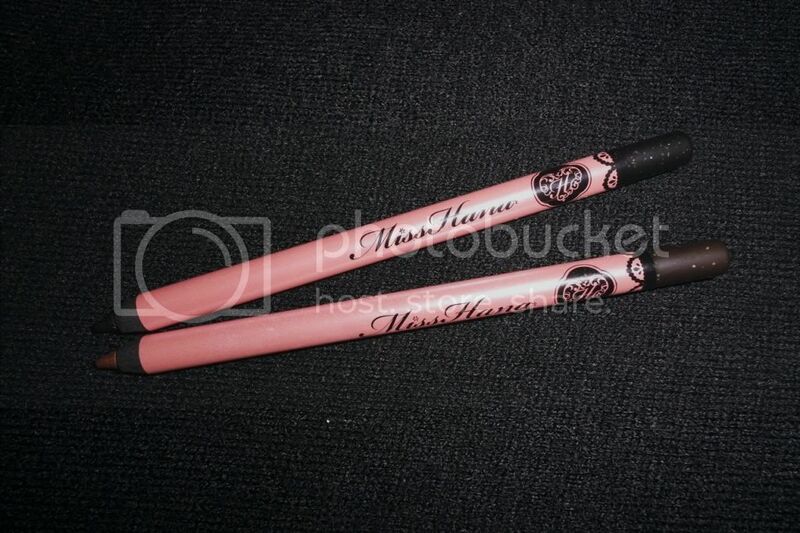 To those who wish to read the previous review of Miss Hana Gel Eyeliner, you can read it here: http://janiceyeap.blogspot.com/2014/04/review-miss-hana-waterproof-gel-eyeliner.html. New colours added into the collection - Golden Brown and Galaxy Black. As you can see from the above photo, these new colours have some glitters added to their eyeliner and I am pretty sure that this is suitable to be used during events at night events as these glitters will enhance the look especially on the eyes. This gel eyeliner glides smoothly on my eyelids. 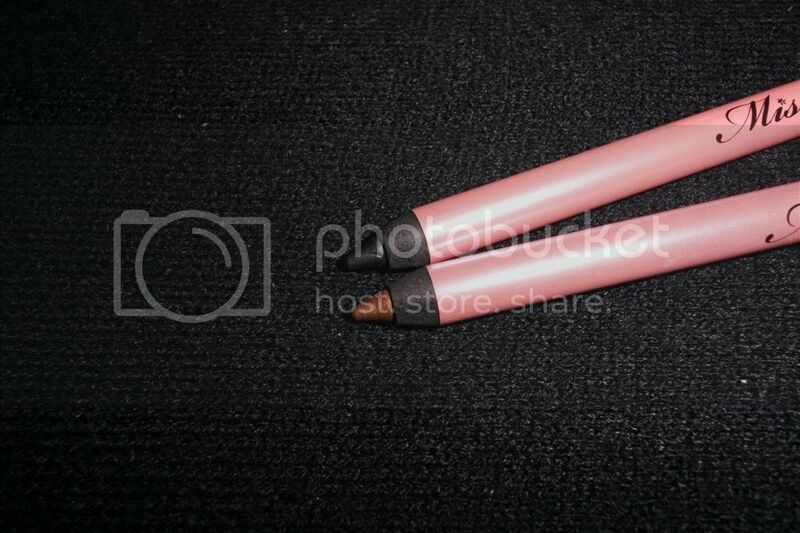 The gel eyeliner has strong pigmented color which will not fade when you apply it on the eyelids. 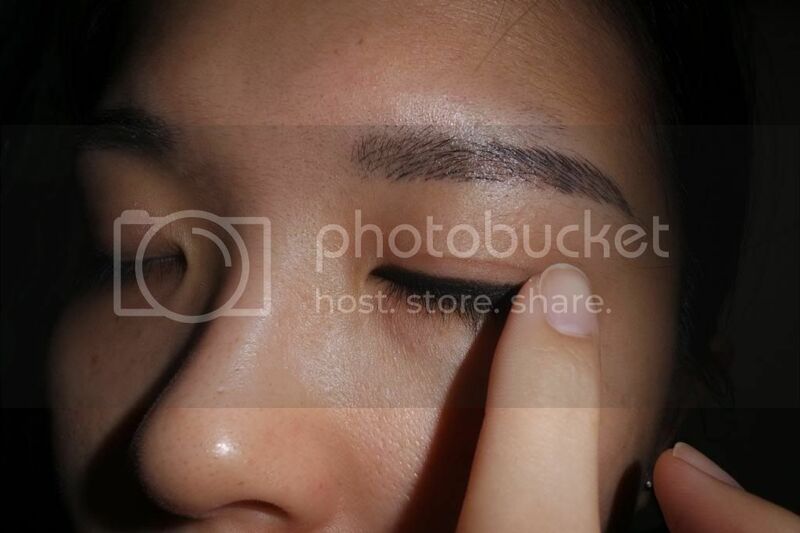 The application on the eyelids are smooth and the gelatinous texture making it easy to fill the liner at the eyelids with various shapes of the eyes. 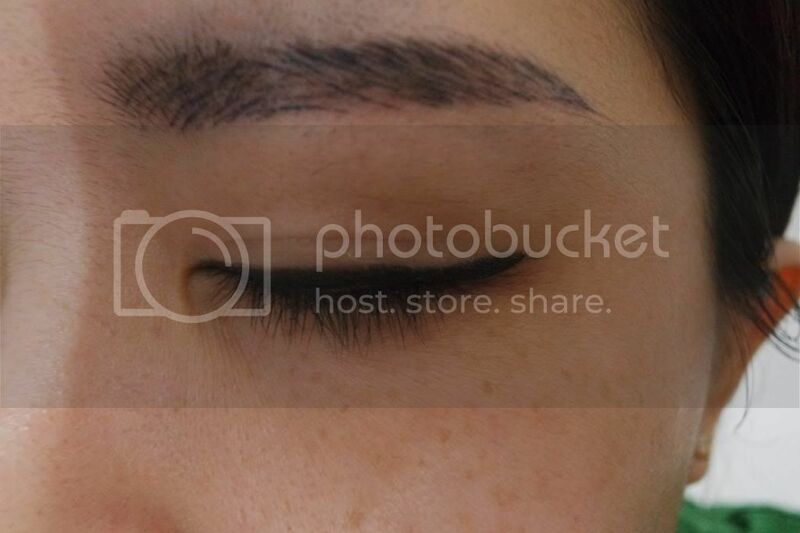 You can actually see from the photos below that the color has glitters to add some glittery look on the eyes. I like how it did not smudge when I rubbed the eyeliner on my lids. 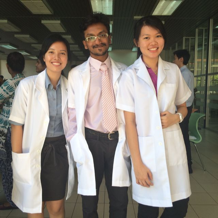 It can withstand sweat, tears and maintain the whole day without smudges. 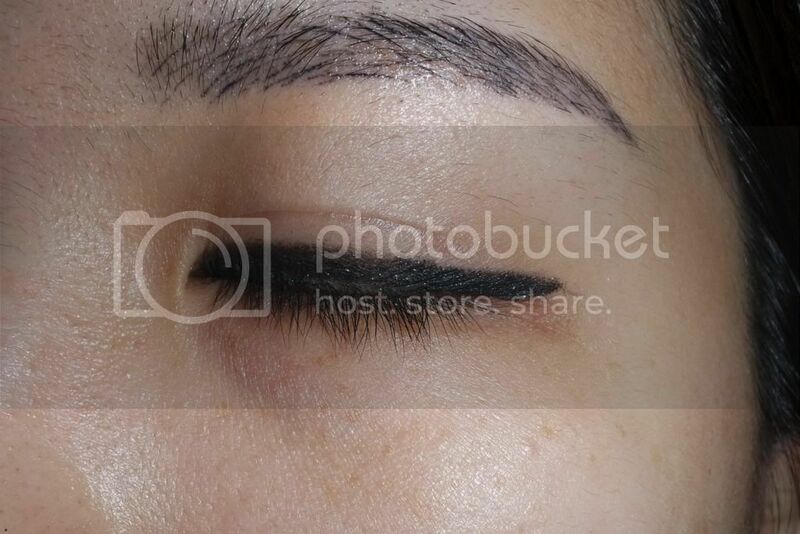 You can also easily outline your eyes with cat eye look too. 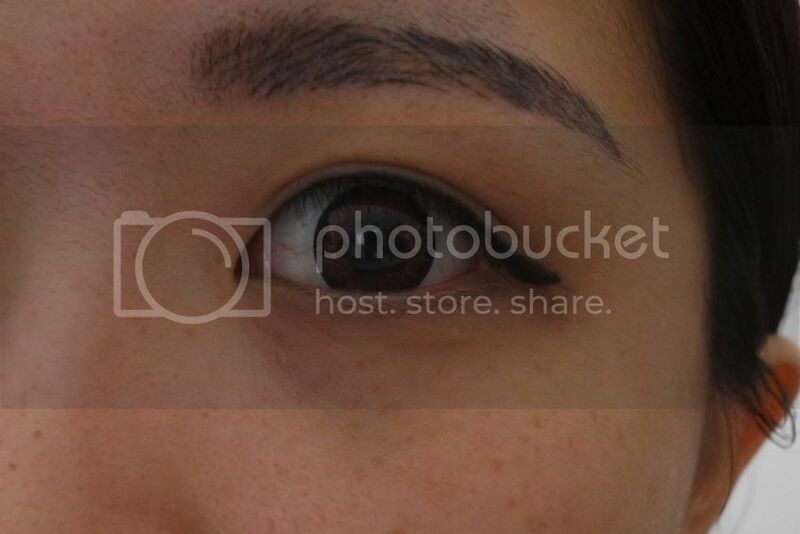 (: I can also easily create winged look by using this gel eyeliner. Miss Hana Gel Eyeliner now comes in 4 colours which are Night Black, Choco Brown, Galaxy Black and Golden Brown. The latter two are the ones I am reviewing now. (: Miss Hana Gel Eyeliner is now available at RM24.90 at www.nattacosme.com website. Good news to my readers that Natta Cosme is having a 20% off for Miss Hana Gel Eyeliner during Ramadan month. All you have to do is to key in "MHES 20" during checkout and this code will be valid till 31st August 2014. Disclaimer: Photos taken above are not edited and the product was sent to me for review purposes. However, this does not affect my judgement in the review in any way and all opinions expressed are solely my own.